Last weekend, my husband and I schlepped the art supplies, kneeling pads, and sunscreen down to the Chalk and Chocolate in downtown Traverse City to draw on the sidewalk. 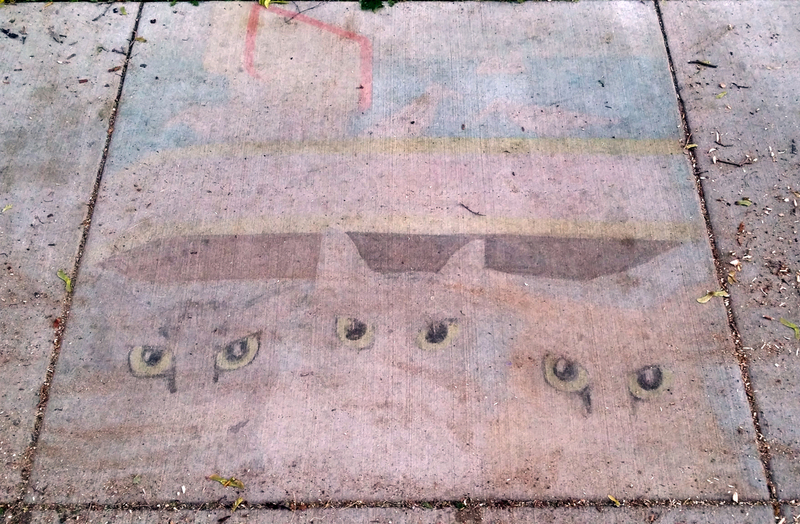 We spent about 7 hours on the pavement applying chalk to our creation, talking to passersby, and noshing on chocolate treats supplied by the local bakeries and candy-makers. This is what we came up with! 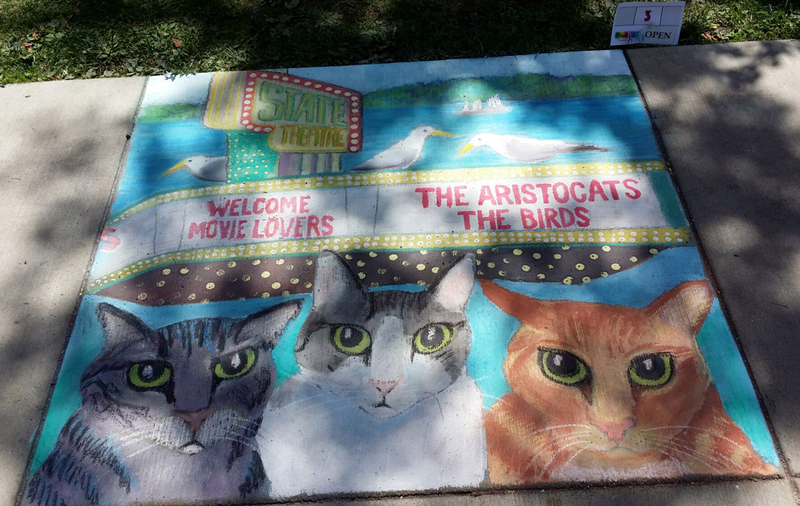 My entry in the Chalk and Chocolate competition during the Traverse City Film Festival last weekend. The next day, a terrific storm came through the area. In addition to knocking out power, and furiously blowing tree branches here and there, the rain changed our drawing into this ghostly memory. The remains of my drawing after the weekend storm. We met many nice people, spent a day in the beautiful summer sun near the bay, and took 3rd place for our efforts!